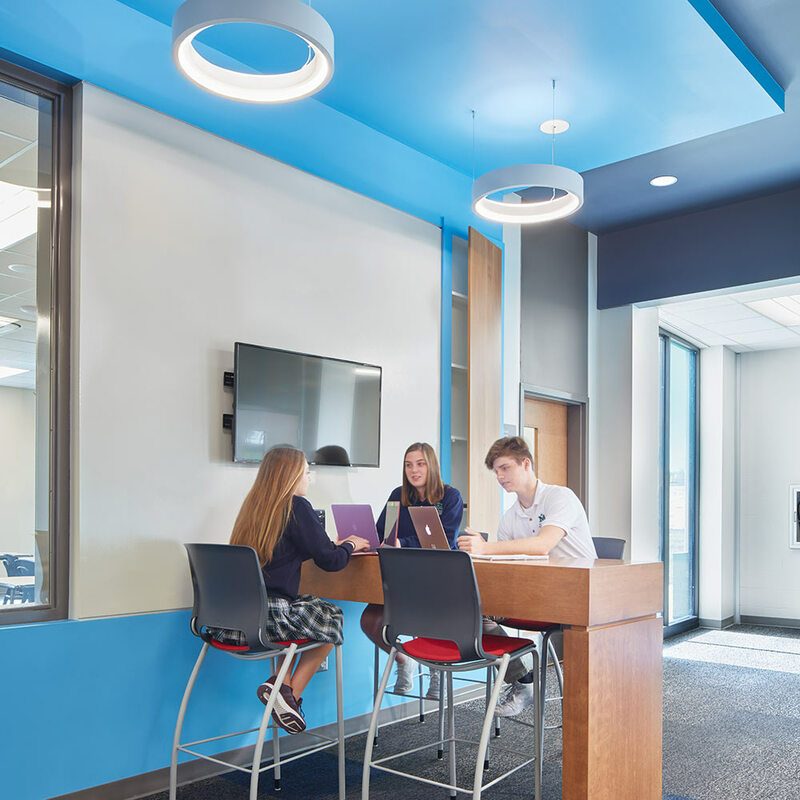 Traditional values meet innovative learning where students get a well-rounded education in a space that marries religious teachings with brain-based learning. 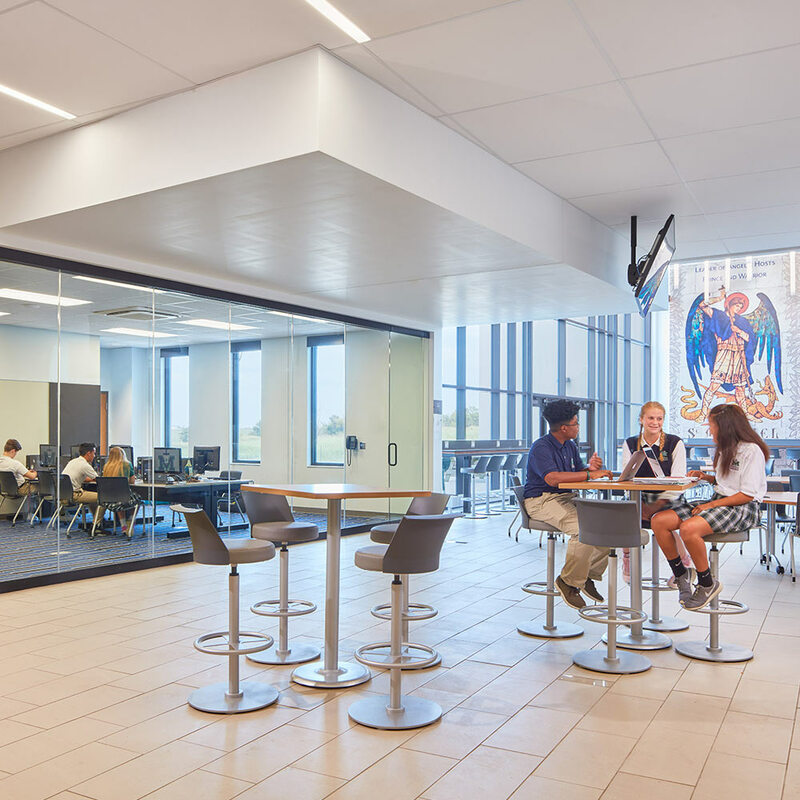 This new Kansas City Diocese school combines the former St. Mary’s and Archbishop O’Hara high schools into one cohesive learning environment. 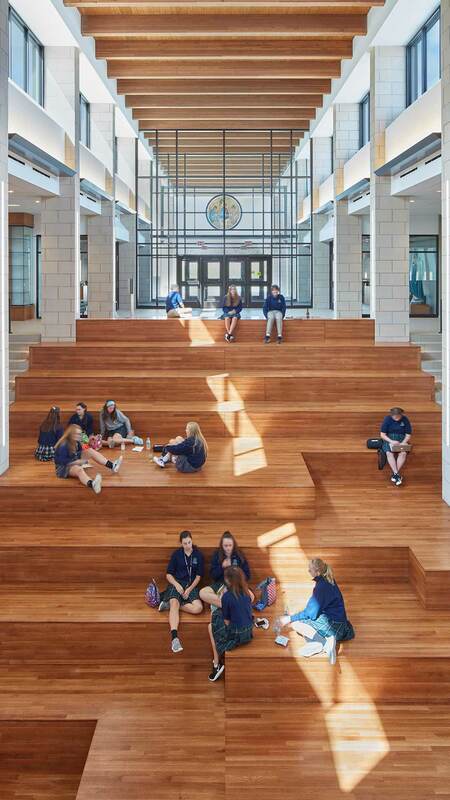 A large atrium connects the chapel and academic spaces with a two-story learning stair, which encourages collaboration and community. 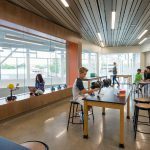 The classrooms’ traditional style is complemented by flexible furniture that allow the spaces to adapt to each day’s teaching schedule. 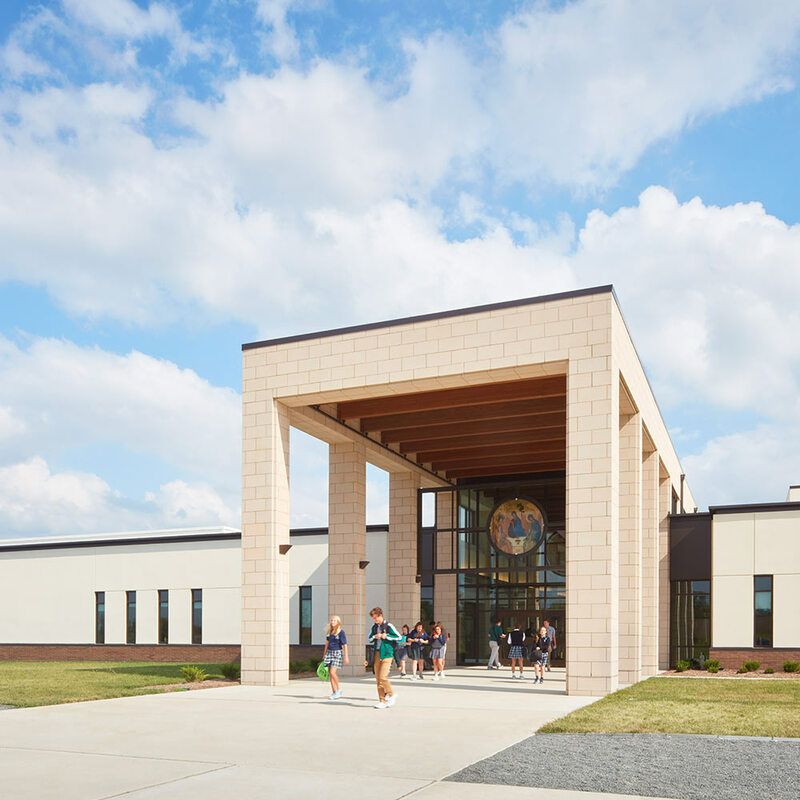 This new high school marries traditional religious education values with brain-based learning. 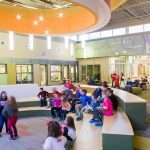 The learning environments are designed to put an emphasis on collaboration and technology. 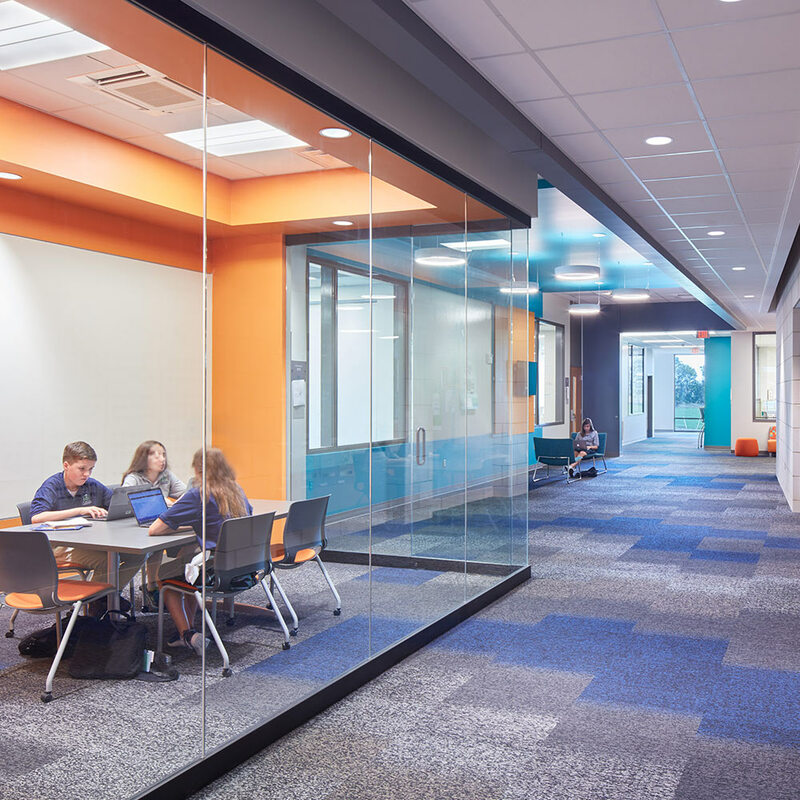 The classrooms are a traditional orientation, but outfitted with flexible, modular furniture to allow the space to be adaptive. The building is designed around a large, brightly lit atrium, which serves as the main commons. 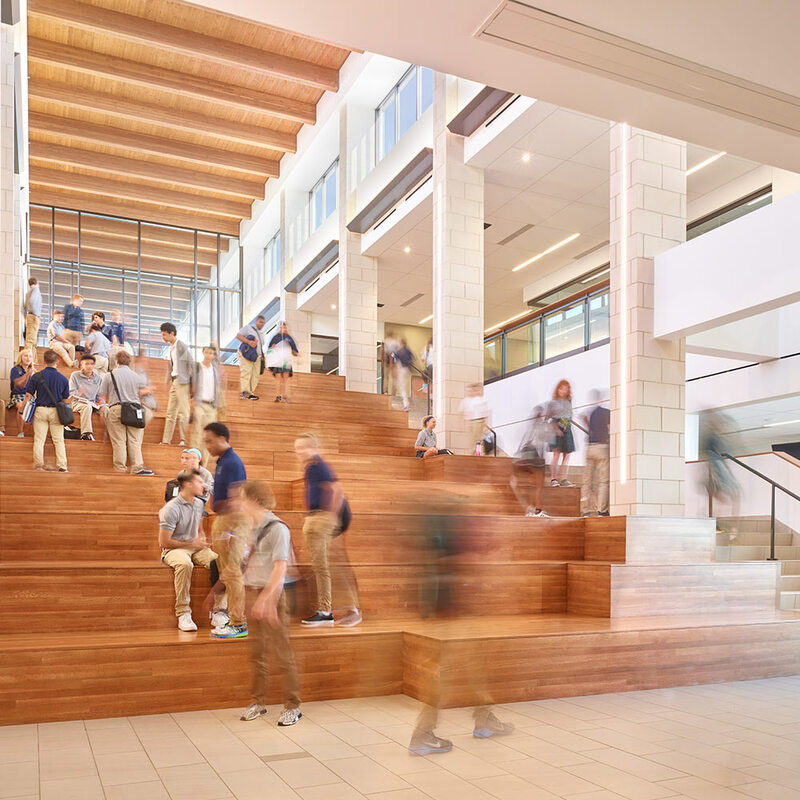 From the atrium, visitors can see the learning stair, a collaborative space for students to gather, which leads to the school’s lower level and the heart of the school, the chapel.